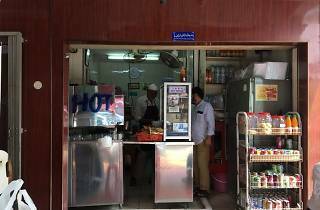 Don’t be fooled by the address – this closet-sized drinks stall, which opened in 1956, hasn’t been usurped by a tailor. 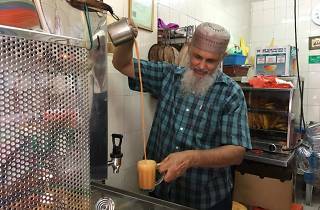 You’ll find it up the road, opposite Kampong Glam Cafe. 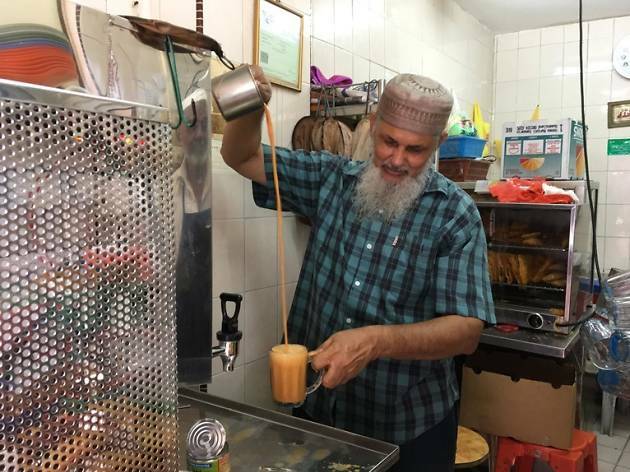 Zamir Ahmad has been pulling tea for more than four decades, so his teh tarik ($1.30) is as it should be: milky, sweet and served with an inch-thick layer of froth. 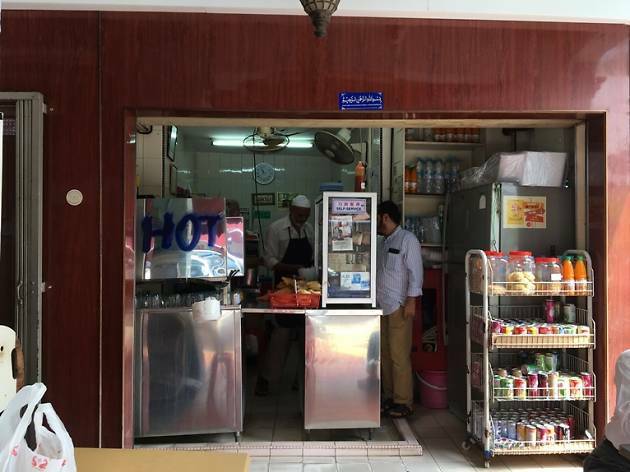 For bites, you’ll have to settle for samosas and curry puffs, or nasi lemak and nasi sambal goreng in packets.